The Asia Dive Expo (ADEX) will enter its 19th year next year. Held at Marina Bay Sands Singapore, 19 – 21 April 2013, visitors are expected to exceed predicted numbers again. Following a successful show this year, PADI Asia Pacific will be taking an 18sqm booth on F01 and F02 at the front entrance of the show. For a full booth fittings list and prices, contact the ADEX organisers. Each 3m x 3m standard shell scheme booth will sell at SGD $4,200. Plus! Act fast for the 10% early bird discount which ends on 31 October 2012! For more information on ADEX, please visit the website. When I first heard of sidemount I can honestly say now, that I had some misconceptions. I thought the entire philosophy was purely for the serious cave enthusiast. Turns out I was wrong. On the sunny tropical island of Koh Tao, I met with Craig Werger, PADI Sidemount Instructor from Ban’s Technical Diving, to undertake my course. In literally the first sentence Craig dispelled my fears and took me on the first step of learning a great new way to dive. Underwater all I could think was – Wow! The cylinder placement, the trim and overall comfort of the sidemount system was unlike anything I have ever experienced. Craig quickly had us undertaking our skills for our confined water session to ensure we had mastered all that he demonstrated. At times this can be a frustrating experience with such a different configuration, especially when your instructor can break down such skills so that it looks simple and effortless. Of course I managed to look like a complete Gumby, but with Craig’s guidance and patience, I could feel myself improve with every move and my confidence grew. The following days saw the completion of four training dives. With each dive I fell that little bit more in love with the sidemount system. One of the things that really impressed me was that for all our training dives we ensured that we took our team diving ethos into the water. This was a fantastic experience for me, as I learnt the importance of working together to achieve our objective. The result is a significant shift in the way I see myself diving with my buddy in the future. As part of the sidemount diver course, Craig put a lot of emphasis on improving our buoyancy control. We were taught various different kicks such as the back kick, side kick and helicopter. This was used to control our buoyancy to “almost” perfection. What I previously thought I knew about control, trim and buoyancy has been completely changed thanks to the PADI Sidemount Diver course. I cannot recommend this course more highly, or for that matter my instructor. Thanks to Craig and the team at Ban’s for making it happen. PADI’s first female instructor from Barhrain. PADI Asia Pacific would like to share a fantastic story! PADI Instructor Miss Reema Afeeri -297712, became the very first female PADI instructor to be certified from Bahrain! She was certified in Phuket, Thailand at PADI CDC Sea Fun Divers. Below she shared her story with PADI Regional Manager Tony Andrews. PADI asked Miss. Reema why she chose PADI, along with finding out her diving history. 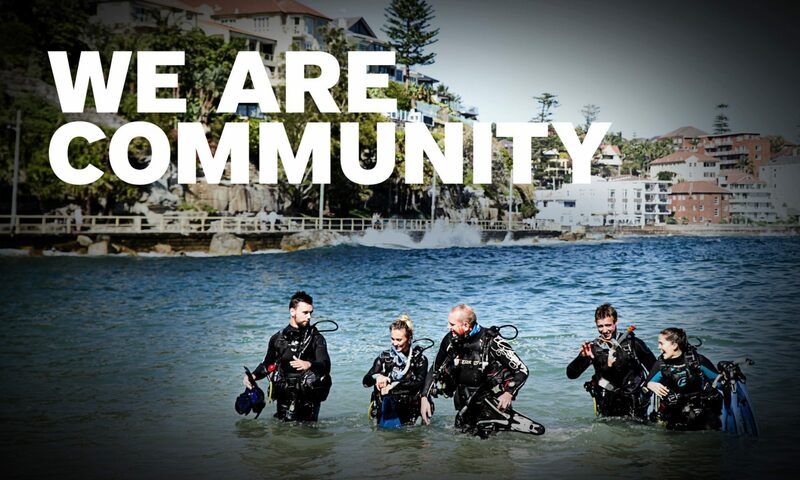 I first started diving in Australia, where I got my PADI Open Water License. And then continued my diving education back home in Bahrain. After a careful review of all diving organizations, I chose PADI because to me it was the most professional and that I noticed that its diving courses are will designed to meet recreational diving. It made diving look interesting and simple. I have heard a lot about diving in Thailand and how great it is and my fellow divers back home have recommended it for me strongly. I didn’t want to stop at being a PADI Rescue Diver only, and my parents, husband along with my instructor/mentor “Salman Busherhri” encouraged me to progress further, and helped me reach where I am today. Diving is so much fun and life changing experience, I want to be able to spread the knowledge and enable people to see the underwater world, appreciate it, and enjoy it. To learn more about the underwater world, and appreciate the aquatic life. 10. Anything to say about your Course Director. PADI Course Director Bent, is an amazing CD, I don’t think it would have been the same if it wasn’t for him, he made the course so interesting, fun and yet serious all at the same time, he has really trained us to be the best there is. A big Thanks goes to him. PADI would like to congratulate both PADI Course Director Bent Posejpal and Miss Reema! Great Work guys. A series of short videos, designed to remove the sometimes daunting “IT” aspects of EVEinstallation are now available at the PADI Pro YouTube channel. Watch the video, follow up by putting those steps into action throughout your store and return to view the next video. For more questions about your EVE implementation, contact your Regional Manager.